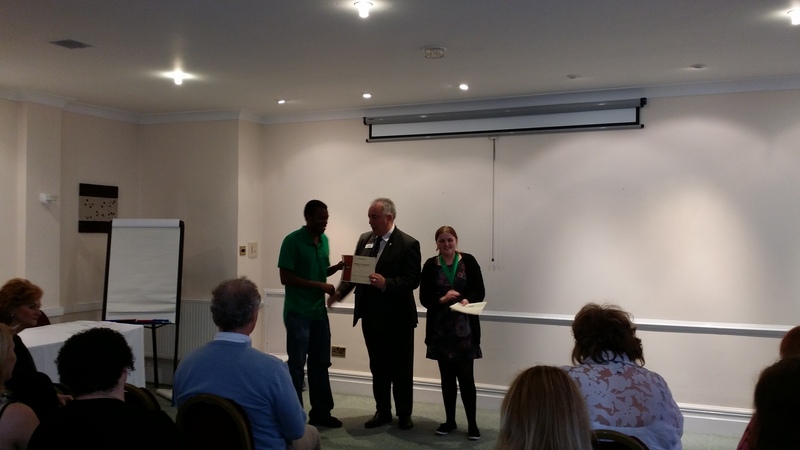 If you were there you know what an excellent Division E speech contest we had yesterday in Harrogate. And if you weren’t there – sorry you missed a real treat. The quality of the speeches was superb and the enthusiasm and enjoyment from delegates was so inspiring – even to an old TM like me. 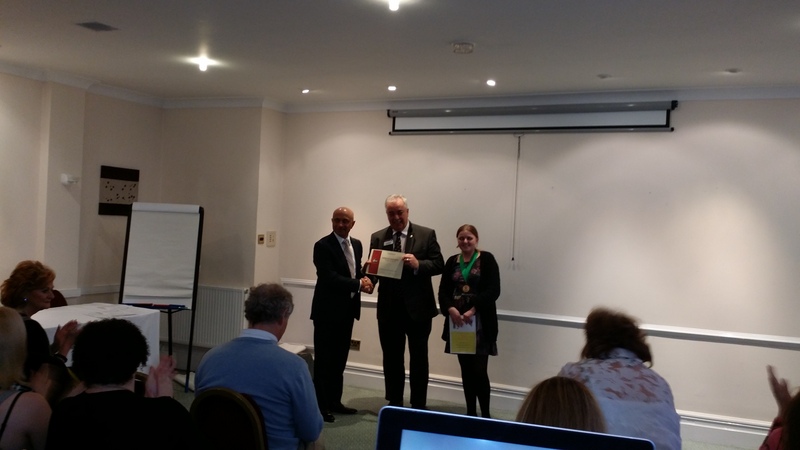 Congratulations got to Gayna Cooper of Warrington Toastmasters for winning the Humorous Speaking contest with Simon Heal of A1 Speakers coming second and Sanat Shelat of Heart of England Speakers coming third. 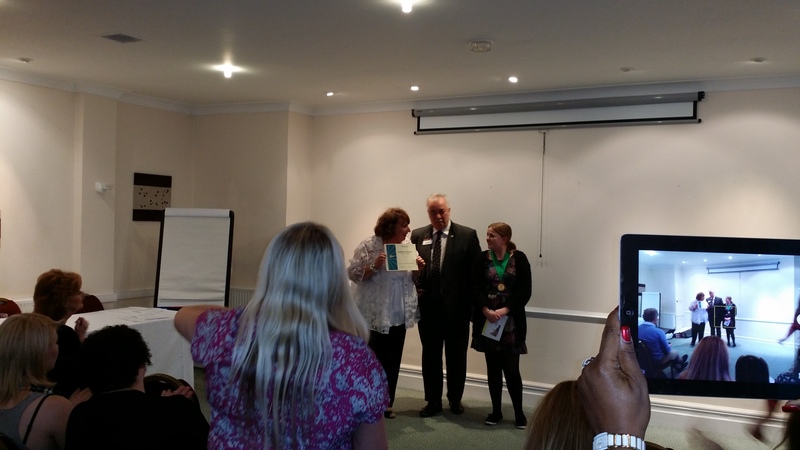 And congratulations to Marie-Claire Carlyle of Warrington Toastmasters for winning the Table Topics contest with Tom Fenwick-Brown of A1 Speakers coming second and Gavin Yearwood coming third. Well done to all the contestants for making it a brilliant day. 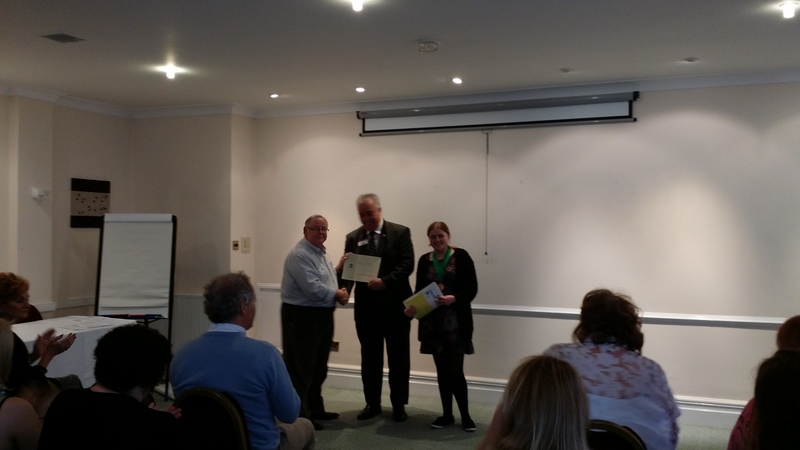 A big thank you also must go to John Cox, Area 6 Governor, who delivered an excellent workshop on writing and delivering a winning speech. Loads of great ideas from John and the delegates. 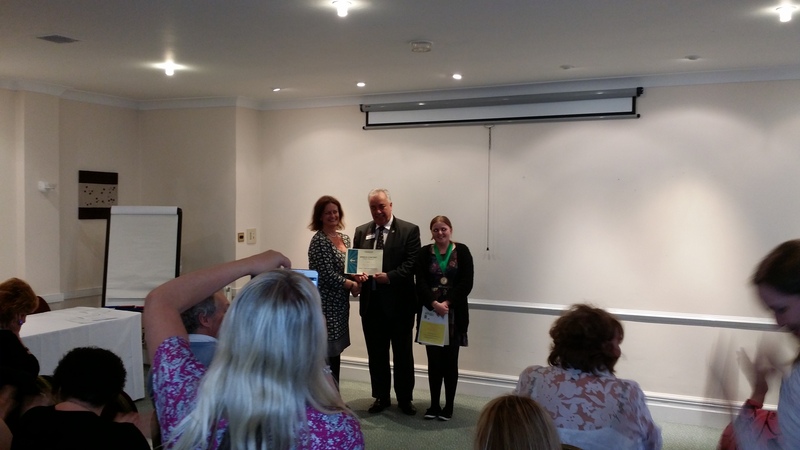 Gillian Caldicott and Phil Morris for being great Timekeepers – most of the time! 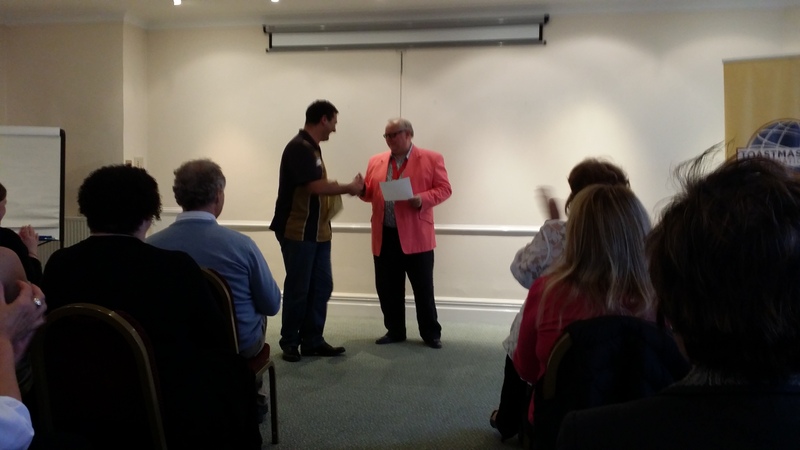 Warrington Toastmasters for the loudest supporters I heard in ages on top of winning both contests. My ears are now clear and my hearing is so much better after the whooping and a hollering from the supporters. Here is a club that eighteen months ago had eight members – now they have fifty and have to meet weekly and the members are loving it. A lesson for the rest of us to learn from. John Cox also got us all enthused with details of next May’s District Conference that is going to be in Nottingham. Rarely will Conference be so close and with such a range of accommodation to allow you to choose the cost. And before that the winners from yesterday need your support in Belfast. I’ve attached the flyer (click to view/download) for the event and please note the Early Bird price has been held and if ten of you get together each will get a 10% discount to each (or buy ten get one free). Thanks to all who attended and had a great day and to those who didn’t make it – maybe next time. It will be for your benefit. It was a delight to attend the Division E Contest yesterday and I’d highly recommend you attend future ones whenever you can. It’s great to see how the quality of speeches (both prepared ones and impromptu Table Topics) goes up at each contest level! 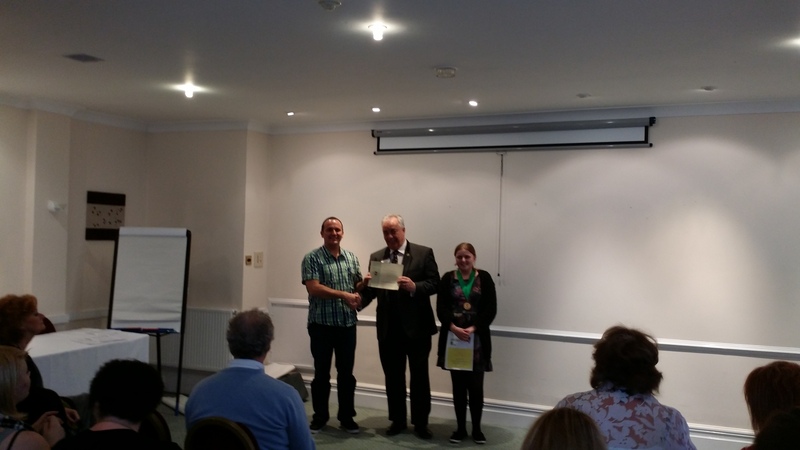 I would also like to add a massive ‘well done’ to our very own Andrew Miller, who delivered a great Table Topic. He faced very stiff competition and although he is not going to represent Doncaster Speakers in Belfast, he did our club proud! Posted on 27 October 2014, in Contests, News and tagged Contests, Division E, Division E Contest, humorous speaking, table topics. Bookmark the permalink. Comments Off on Division E Contest | 26th October 2014.